Using 3ds max, I must say, the most exiting moment is hitting F9(Quick Render). It just takes ages for image to appear especially when lots of complex materials are used in the scens. You have a few options to shorten render times like tuning the render settings, caching lighting calculations etc. 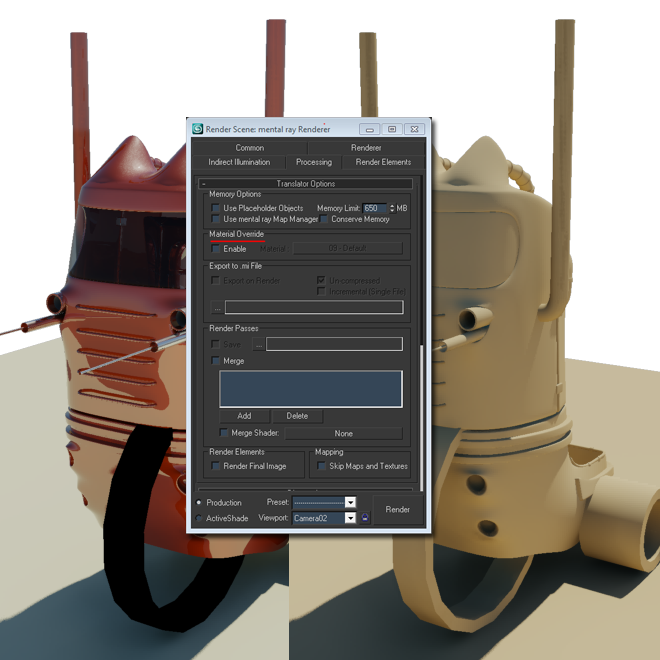 A simple fast solution to shorten render times is using just simple material. So, no reflection, no refrractions, just the mesh and the shadow, also called a clay render. It’s not really speeding up render times, more just speeding up your workflow. I have been exploring for a bit for any high-quality articles or weblog posts in this sort of house . Exploring in Yahoo I ultimately stumbled upon this web site. Reading this information So i am glad to express that I’ve an incredibly just right uncanny feeling I came upon just what I needed. I most undoubtedly will make sure to don?t forget this site and give it a look regularly.